As part of our ongoing goal to provide the safest school environment for our children, Carlisle Schools have completed projects to upgrade our security in each building by adding secured entrances, training the staff on A.L.I.C.E. protocol, upgrading the security camera systems and always working to build relationships with the students and their parents. On Thursday, October 25, we will conduct a district-wide (PK-12) an active intruder A.L.I.C.E Drill. The drill is designed to check for preparedness and to introduce students to the A.L.I.C.E protocol during a live intruder event. The district is collaborating with the Carlisle Police Department for the A.L.I.C.E drill. Jan 18 - Due to weather, schools will be dismissed at 1:30 today. No PM Preschool. No after school/evening practices and events. Read this information if you are anticipating that your child will ride the bus to and/or from school this year. Letters were mailed last week regarding the new routes. If you have not received a letter regarding your child's new bus route or talked to the transportation department about your route, please contact the Transportation Department at 515-989-5315 or 515-989-5301 by Friday, August 17. The District has adopted a Student Identification Card Policy (502.12) for the 2018-19 school year. The purpose of this policy is to ensure safety and security on the Carlisle High School and Middle School campuses for the approximate 1300 individuals who are on the campuses each day. Student Identification (ID) Cards will be provided to every student. Just as a driver’s license authorizes driving a vehicle, a student ID card authorizes a student to be on campus. Student ID cards increase the sight security of all students on the school campuses. Student ID cards help us in identifying students as well as trespassers. Ensuring safety and security for all staff and students is our top priority each and every day. 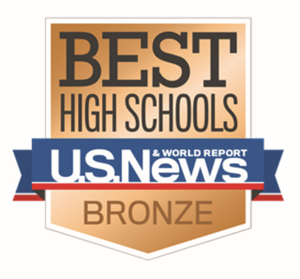 Carlisle High School has won a Bronze Medal in U.S. News and World Report’s annual ranking of America’s public high schools. The Best High School rankings identify the country’s top-performing public high schools. Public notice is hereby given that the Board of Directors of the Carlisle Community School District, Carlisle, Iowa, will conduct a public hearing on the plans, specifications, form of contract and estimated total cost of construction for the Carlisle High School – Indoor Activity Center project, at 6:00 p.m. local Iowa time on August 13, 2018 at 6:00 p.m. at the District Board Room, 430 School Street, Carlisle, Iowa 50047. All interested individuals are invited to attend. The Carlisle Wildcat Baseball team qualified for the State Baseball Tournament with a 6-2 win over the Grinnell Tigers. 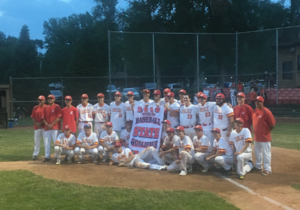 The Wildcats play Tuesday, July 24 at 5:00 against Waverly-Shell Rock, first pitch 5:00 p.m at Principal Park. Preschool - 12th Grade School Supply Lists for 2018-2019.